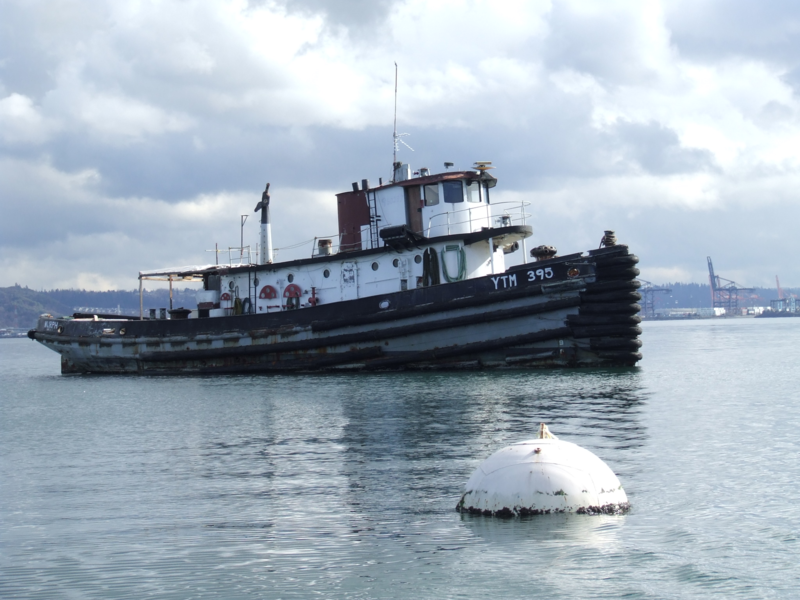 Murph Navy Tug Derelict - Global Diving & Salvage, Inc. 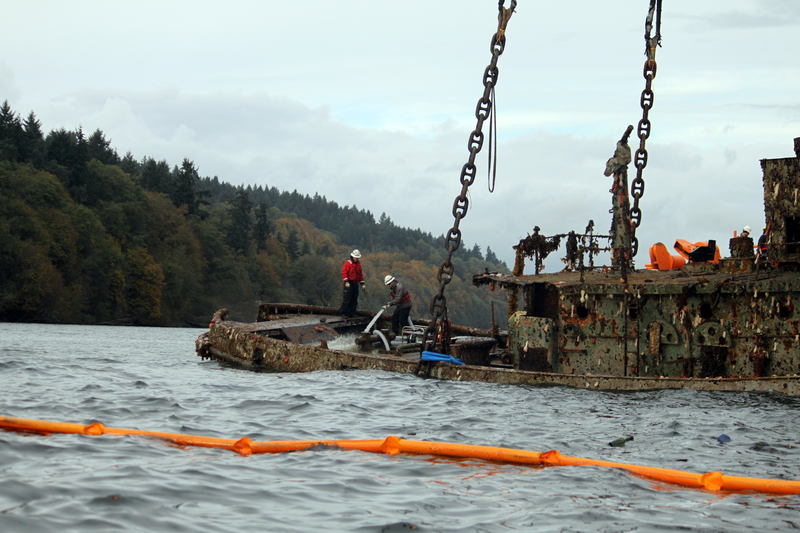 Global was contracted by the Washington Department of Natural Resources to remove Murph, a large steel-hulled 1944 Navy Tug from Quartermaster Harbor as part of the department’s Derelict Vessel Program. 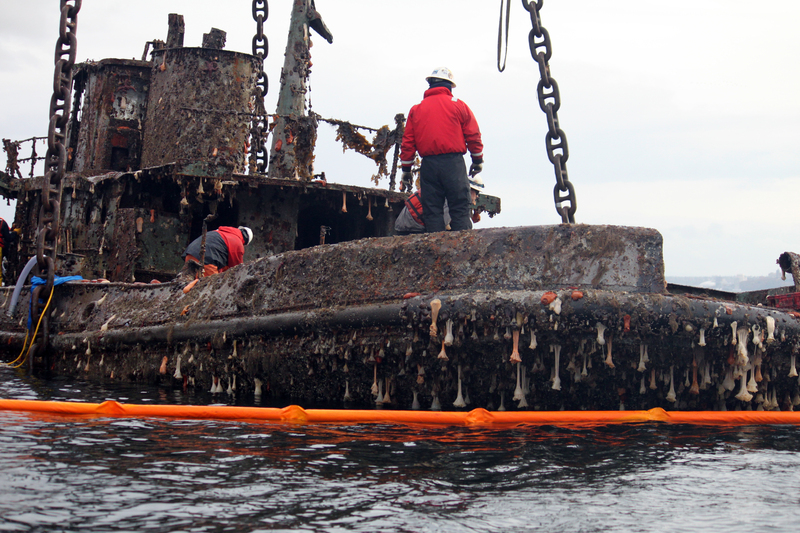 The 100-foot long, 200-ton tug had been abandoned and sank in shallow water near the mouth of the harbor in 2007, creating a navigational hazard. With the vessel in unknown condition and periodically leaking small amounts of fuel, officials determined the vessel should be removed. 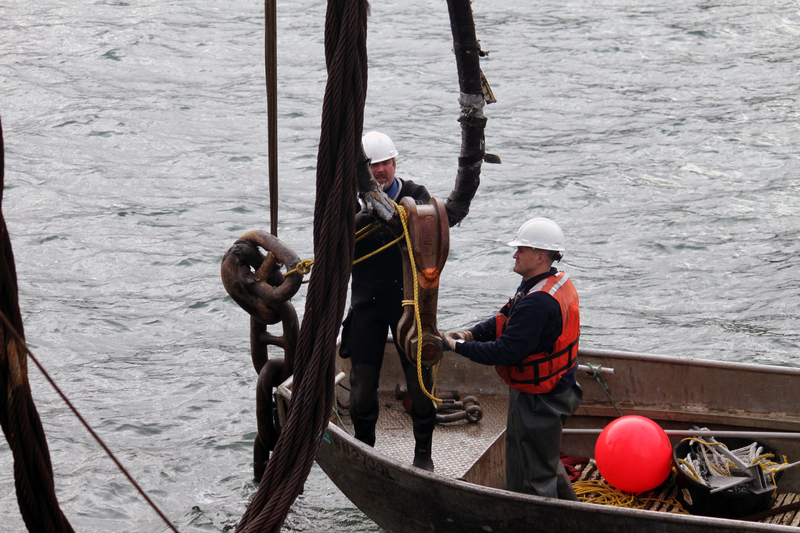 Despite the challenges of vessel weight, limited dry dock availability, and unknown condition of the tug, Global’s team successfully engineered a rigging and lift plan to raise Murph clear of the water onto a deck barge. 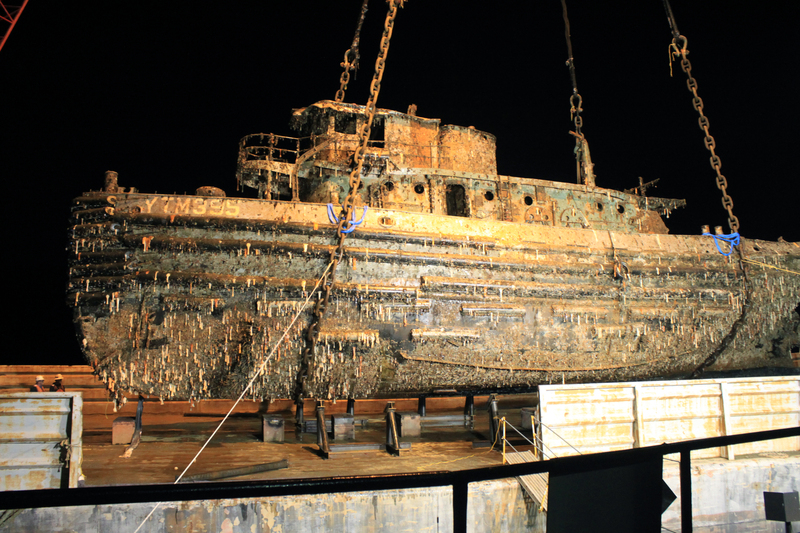 Once Global loaded the wreck onto the deck barge, it was towed to a shipyard for hazardous material categorization and sampling. 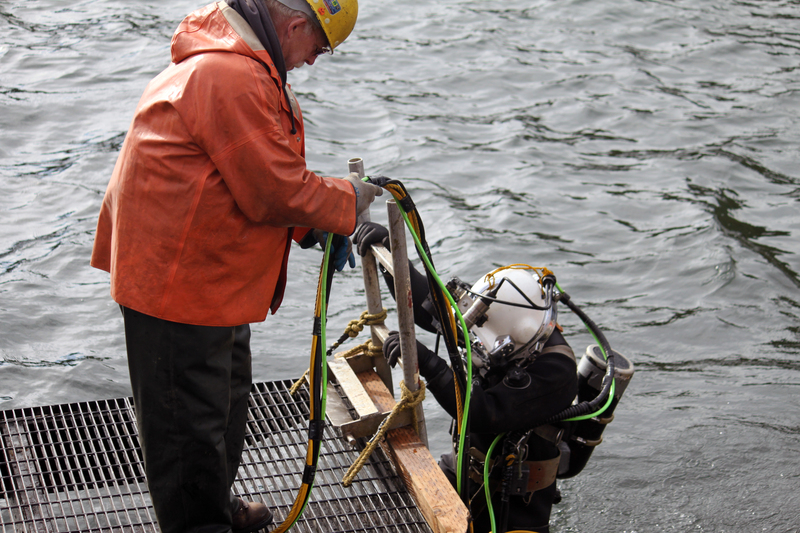 In the shipyard, Global supervised the removal of oil and asbestos-contaminated mud and construction materials. 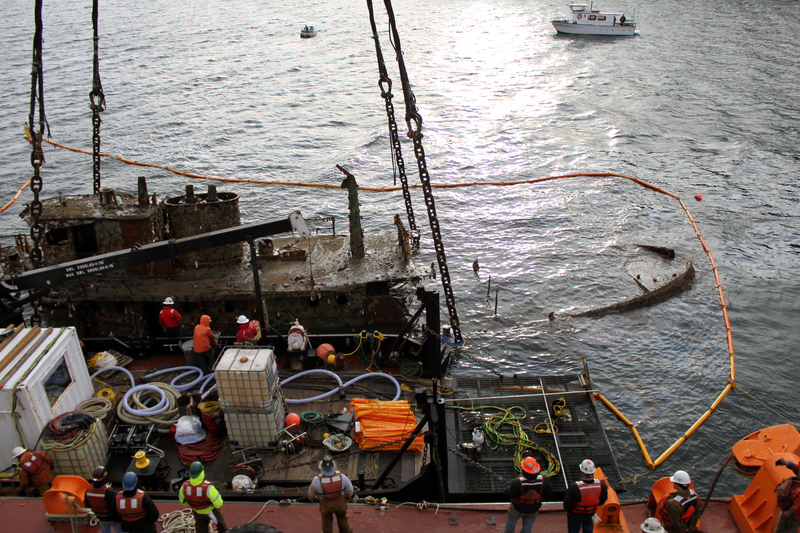 The wreck was deconstructed for recycling and proper disposal.